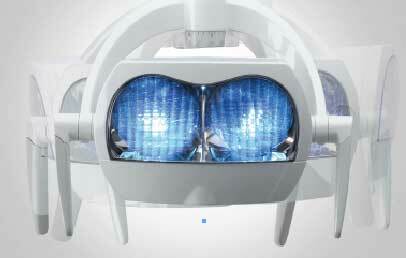 Venus Plus L, LED is dedicated to all ‘high tech’ modern dentists who really want to SEE THE LIGHT in dentistry. Dentists focus their gaze on a very small, and often poorly lit, work area all day long. They are often forced to strain their eyes to distinguish fine details in low-contrast lighting conditions. 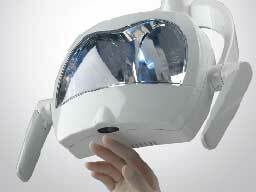 The LED light is positioned in such a way that allows the beam to focus directly on the treatment area without any risk of damaging eye fatigue. The large, regular spot-lit area, homogeneous light distribution, and reassuring operating efficiency provided by the dual-reflector dish makes the VENUS PLUS -L LED the new standard in the oral cavity lighting. The optional infrared sensor gives the user remote control of on/off and brightness adjustment functions, thus ensuring maximum hygiene.